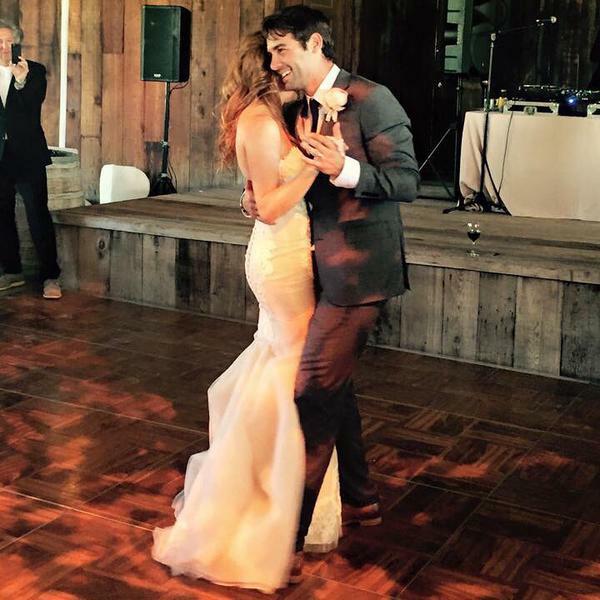 “The Crazy Ones” actor James Wolk recently married the lady of his dreams. Mr. and Mrs. debuted on social media today through the photo above. “My Mrs. Wolk,” was his short and sweet caption. You can catch James on CBS’ in the new series “Zoo” starting June 30th. All rights to the image and quote belongs to James Wolk. This entry was posted in Entertainment, News, TV and tagged James Wolk, The Crazy Ones, Zoo. Bookmark the permalink.